This entry was posted in Houses and tagged Small House, tiny house by Julia. Bookmark the permalink. 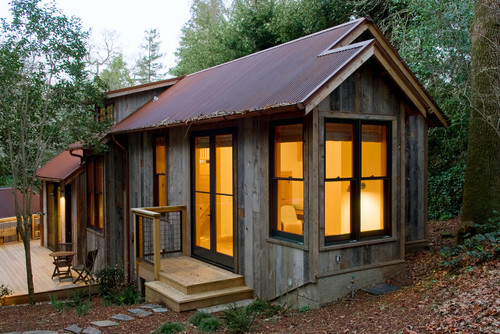 If you go to: http://www.houzz.com/projects/83354/Ross-Guest-Cabin you will see the inside of the cabin. Not a lot of pictures but enough to see more of it. I didn’t find any floor plans though. I was through the link at the bottom of the article citing the architects.